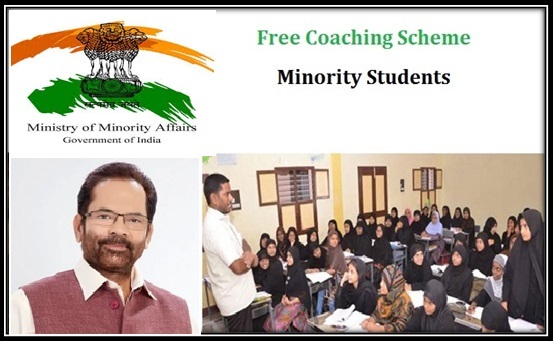 The Free Coaching Scheme for Minority Students 2017 is designed to provide coaching services to students around India who are part of recognized minorities. The program offers free support to students who are aiming to complete their studies and benefit from preparatory services. These help people to learn how to qualify to get into certain exams and to complete those tests. The program is designed as a scholarship to assist with covering the costs associated with training. The training costs are worth Rs. 15,000 or more in most cases. The monthly stipends provided to participants helps ensure that people can get the coverage that they require and that they are appropriately served. Students in minority communities can qualify for free training. These include those in the Muslim, Christian, Sikh, Buddhist, Jain and Parsi communities. These communities are listed based on section 2c in the NCM Act 1992. Family Income : A student or parent or guardian should have less than Rs. 3 lakh income every year. Participants must have completed qualifying exams to get into the much larger certification exams. The percentage totals for qualification vary by each individual option. A student can enjoy the benefits of scheme only once, regardless of how many chances he/she is entitled to in any competitive/entrance exam. The student enjoying the benefits of scheme must attend all the classes. If a student remains absent for more than 15 days without any valid reason, all expenses of the coaching may be recovered from him/her. Female Quota : And finally, 30% of seats under the scheme will be reserved for girls. The application form can be found online at http://www.minorityaffairs.gov.in/sites/default/files/FinalCoaching1.pdf. The form is to be provided to the coaching institute the student wishes to apply for. A representative for the school will have to get everything involved with the application filled out to ensure that a participant can get the support one is looking for. This is critical for the success of the application in general. Contact a coaching institute for information on receiving the grant. Coaching institutes will cover the cost of students who qualify for the scheme provided that the proper application is filled out. A representative of the organization that the applicant belongs to much fill out the proper form. The representative may include a manager or senior employee. That person must list information on the student’s data and income alongside points on the center the student will study at. The website for the institute that the person is applying for studies at will list information on the student’s registration. Details on whether that student has been accepted will be listed. Qualifying exam training services are offered. These include courses to train to pass exams required for getting into particular schools or other special educational programs. These include exams for entering law, IT or medical study programs as well as language aptitude exams for getting into foreign schools. Competitive exams for entering into Group A, B or C services among other posts in central and state governments are covered. These include training programs for exams relating to jobs in banks, railway services, insurance companies and many other that are operated by the government. Coaching and training courses for private sector jobs are also highlighted. These jobs entail working in shopping, airlines, IT functions and many others. Other emerging industries are also covered in these courses as a means of supporting various needs that students might have. These courses are provided by various schools that operate under the control of the government. Schools that have been interpreted by the government as accredited private universities and institutes that are certified for training and education are among the places that are fully qualified to allow students to get the educational help they require. The coaching process lasts for four months at the most. This is the longest possible time period for the course in that it gives the student enough understanding of different concepts relating to a position. This is also to receive the knowledge needed to complete particular exams for certain jobs. The Group A Services program has a maximum fee of Rs. 20,000. The institute will fix the final value. The monthly stipend for the study is Rs. 3,000 for candidates outside the area and Rs. 1,500 for locals. The Group B Services plan uses the same fees and stipends as the Group A one. Group C Services training goes for Rs. 15,000 at its most expensive. The monthly stipend remains at Rs. 3,000 for outside candidates and Rs. 1,500 for locals. The cost for entrance examination programs for entering into technical or professional courses is Rs. 20,000. The monthly stipend to offer is Rs. 1,500 for local applicants and Rs. 3,000 for those from outside of the local area. Coaching and training for jobs in private sectors entails a maximum fee of Rs. 20,000. The monthly stipend will remain Rs. 1,5000 for locals and Rs. 3,000 for outstation participants. All stipends will be credits to the accounts of students every month during the course of training. The totals will be determined based on one’s status and the type of program the student has entered into. The institute must have some experience in providing coaching for the course, with a minimum success rate of 15%. Private institutes (including NGOs) will have to submit their proposals to their State Governments/UT administrations. Depending on how well an institution satisfies each condition of Mandatory Selection Criteria, points will be given to them. And once institutions have been screened according to that point based mechanism, they’ll be invited to give a presentation to the inter-ministerial committee set up by MMA. The people who can benefit from the scheme include those who are in minority groups. These include people who are in certain religious sectors that are interpreted by the central and state governments to be minorities. The people who have applied to get into the program have increased in variance over the years. Muslims, Christians and Sikhs are among the more prominent groups that have been applying to get into the scheme. Those who are not of a majority faith, particularly people from outside the country, are especially encouraged to apply to enter into the scheme over time. Those who are in minority groups around India are encouraged to apply for the scheme.